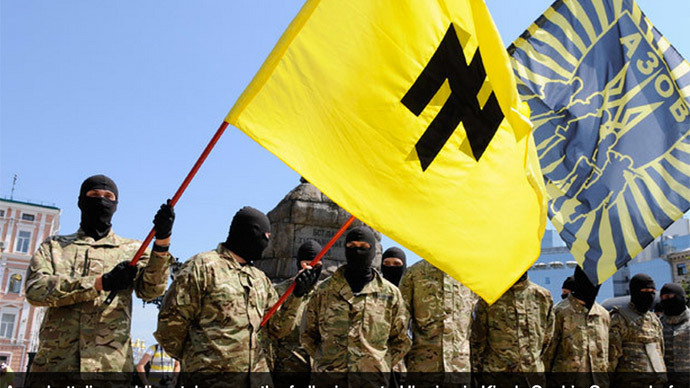 Proposed by John Conyers (D-Mich.) and Ted Yoho (R-Fla.), the amendments to HR 2685, the “Department of Defense Appropriations Act of 2015, refer to “Azov” battalion as an “openly neo-Nazi” and “fascist,” and prohibit US instructors from training or arming the controversial unit. The amendments, intended to “protect civilians from dangers of arming and training foreign forces,” also ban US exports of shoulder-fired anti-aircraft rockets, known as MANPADS, to Iraq and Ukraine. “Overzealous military assistance or the hyper-weaponization of conflicts can have destabilizing consequences and ultimately undercut our own national interests,” Congressman Conyers said in a statement. “I am grateful that the House of Representatives unanimously passed my amendments last night to ensure that our military does not train members of the repulsive neo-Nazi Azov Battalion,” he added. Russia’s Foreign Ministry praised the amendments, but noted they don’t go nearly far enough. “Azov” was established in 2014 by the historian and firebrand political activist Andrey Biletsky, leader of the “Ukraine Patriot” movement who described his ideology as “social nationalism.” After being incorporated into Ukraine’s National Guard, the unit gained access to government funds and heavy weaponry. The unit is easily recognizable by its use of the “Wolfsangel,” or wolf hook, a German heraldic symbol used during WWII by two German SS divisions and the Dutch Nazi sympathizers. 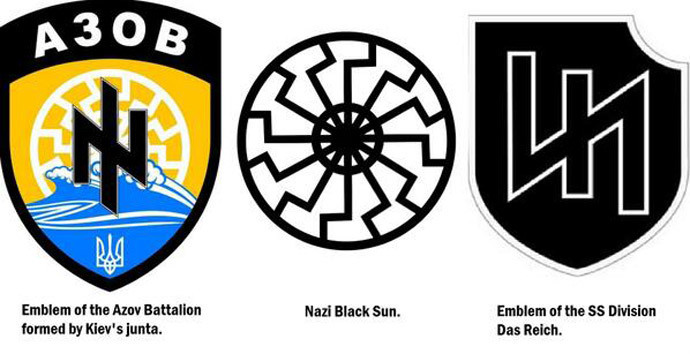 Another Nazi symbol on the “Azov” insignia is the Black Sun. The government in Kiev, however, insists that “ultra-radical groups and organizations are neither registered, nor identified” in the country. Ukraine’s Interior Minister Arsen Avakov wanted to specifically include “Azov” in the training program dubbed “Operation Fearless Guardian,” run by US Army units in the west of Ukraine since April. The unanimously adopted amendments put forward by Conyers and Yoho outright ban any training or arming of the battalion. @KatrinaNation Good for @repjohnconyers! Funding should be blocked for US to train anyone in Ukraine, though. Not just the Nazi loons. Unfortunately, there is a real possibility the Conyers-Yoho amendments may amount to nothing. The White House is opposed to the current form of HR 2685, arguing that it under-funds certain Pentagon programs while continuing others the Obama cabinet wants to shut down. “If the President were presented with HR 2685, his senior advisors would recommend that he veto the bill,” the White House memo to Congress said.